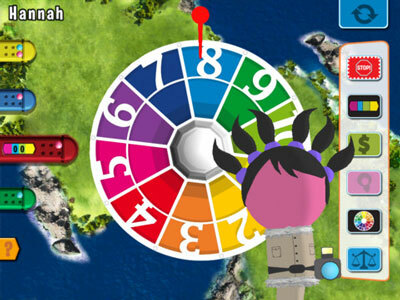 Hasbro is merging some of their traditional board games with mobile devices and tablets to bring new life to family gaming. 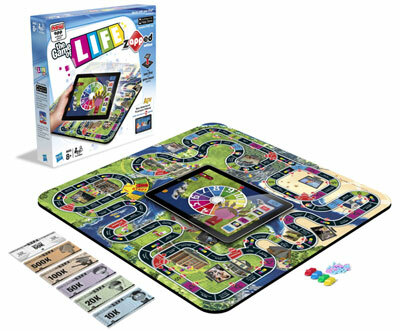 Launching this week, The Game of Life zAPPed edition ($24.99 on Amazon.com )updates the face-to-face board game with the interaction and accessibility of an app. Remarkably, playing this zAPPed version of Life seemed to fly by. Even though Hasbro has added videos and mini games in this enhanced version, it actually keeps moving and plays quite quickly. The Game of Life zAPPed edition is available now on Amazon.com and ToysRUs.com this week, rolling out to other retailers later this year. The Game of Life zAPPed is recommended for two to four players, ages 8+. Monopoly zAPPed will be available in June 2012 and Battleship zAPPed will appear on store shelves in September 2012.